Independent Florida auto dealers must renew their license and bond before April 30. Florida’s Department of Highway Safety and Motor Vehicles regulates licensing of motor vehicle dealers in the state. 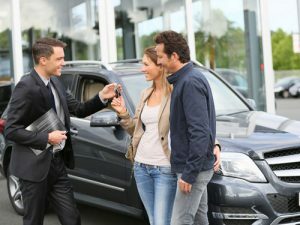 Those who buy, sell, lease, or deal three motor vehicles or more within a 12-month period and/or display three motor vehicles or more for sale or lease during a 12-month period must obtain a motor vehicle dealer license. Many of Florida’s motor vehicle dealers need to renew their licenses and surety bonds before April 30. Dealers must meet the licensing requirements of the Florida Department of Highway Safety and Motor Vehicles. Renew a surety bond for $25,000. Dealers may provide an irrevocable letter of credit in lieu of a bond. All documents for a primary location must be received by April 30. Late fees are $100. Mobile home dealers and recreational vehicle dealers need to renew their licenses by Sept. 30, and franchised dealers renew by Dec. 31. A surety bond is a guarantee that you will run your business honestly and ethically. The surety bond must be purchased by an agency that is licensed to do business in Florida. SuretyGroup.com is licensed in all 50 States and can help Florida dealers save money on their surety bond premiums. Our rates start at 1% of the bond amount with good credit. Whether you are buying a surety bond for the first time or checking for a better rate, contact our Surety Bond Specialists for a free quote that fits your specific situation. You can apply online, call 844-432-6637 or email info@suretygroup.com to get started.